"Making my life easier one presentation at a time"
I love the templates (and the ability to customize them down to colors and logos), as well as how easy and fast it is to create something professional. Being able to include graphics and other data visualization tools is a plus. I would like more flexibility in the graphics and data visualization area -- right now these are pretty limited, especially if you create one directly in xtensio. And, often, importing a chart or graphic doesn't always have the same impact visually as the ones you can create directly in the platform. Reports and assessments we would usually create and deliver in powerpoint are easier and thus faster and cheaper for us to put together than previously. And, our clients love the visuals and the ability to view it both as a presentation and scrollable pdf report. Thanks for taking the time to share your feedback on G2 Crowd. We'll be adding more interactive modules and integrations to support more flexible data visualization in the coming months! "Incredible program with exceptional customer service "
I would highly recommend Xtensio to anyone who likes to have complete control over the designs and layout of their documents. The plans that xtensio offers give me this flexibility and make the 'boring' business elements of my assessments fun and easy due to their available templates. xtensio allows me to submit beautiful assessments to my teachers that highlight my dedication to the courses. The customer service is amazing. They respond quickly and continue to check up on you to ensure your satisfied with your plans and utilising Xtensios many tools. My only issue with Xtensio is the pricing of their plans. Although they offer great perks it was a lot of money for me to fork out. But after reaching out to customer service they found me a plan that works and offered me a great discount in support of my studies. Everyone should take advantage of the free trial that Xtensio offers, it has improved the presentation and quality of my work and allowed me to really enjoy creating documents that I would normally regard as 'boring'. The level of creative input that it allows is amazing and makes for a program that I'm always eager to use. I can imagine this would be a great tool for businesses- some of my university assessments require me to provide detailed project plans and Business reports. Xtensio made this so easy for me thanks to their templates. "Great product for a great price"
The best part of this product is the way that the final version looks. We are able to distribute information in an innovative and creative way. The ability to space out and create a unique dashboard is what makes this product great. I have a few suggestions. First, I would add more graphing options. We use this product for multiple different dashboards enterprise wide, and the information all gets conveyed in a similar way. It gets kind of old and repetitive for some people, especially regarding the one pie chart. Additionally, the spacing for some modules one the dashboard can be frustrating. I would like to see a more user friendly approach instead of having to specify columns, and than add another template with different amount of columns, and than do it again. Additionally, I cannot print the single page folio when I create it this way. Lastly, almost every time I use this product the connection disconnects and I lose some of my work. There have been a few times where I was not paying attention to the top of the page, and I lost 15-20 minutes of edits. We are able to create and convey information in a creative and unique way which captures our audiences attention more effectively than other methods, such as spreadsheets and word documents. "Xtensio is one of my go-to sites for projects"
I really like many of the templates here. They are well designed and easily modified for a professional looking document for clients. I have used quite a few in the UX Design, Project Management and Business Development categories. I LOVE how the interface works while clicking through the categories and displaying templates that are cross category. Very Smart! While I like many of the UX Templates I think this category could use quite a few more. Perhaps some templates for some common UX activities used in Sprints, like some warmup exercises, card sorting results, user group summaries, qualitative and quantitative site audits, design principles, site flows etc. "I'm sorry PowerPoint, I've met someone better..."
We're using Xtensio to collaborate virtually for a project. We have 4 people contributing who are all virtual and in different time zones. We needed to have a 'place' to collaborate, and also requires that we present information to others. In the past we've used asana to work together, and power point to present to other stakeholders. Xtensio replaces the need for both brilliantly. We can work together, instantly share without sending attachments that you then have to save different versions with unique names - you all know that drill - and then use the same tool to present. Xtensio provides an easy modular interface for building personas. It is quite intuitive and anyone can pick it up and use it without guidance. Have recommended it to peers to use .Xtensio's interface is also really clean making it easy to navigate and to reduce any user errors. I also really like how its not cluttered with too many features. It has enough for you to do what you need to do. Found it best for Portrait based personas but not really great if you wanted to build it for landscape. Xtensio is easy to use and provides a great free version that will help you get under way, although if you are thinking about doing more things then upgrading would be beneficial though you would want to first evaluate the benefits to the costs. Fast persona builder with no frills and thats easy to use. Clean look and feel for a professional look. not overly crowded. Straightforward. "Been with them from the beginning"
Having all the relevant tools on a single workspace has been excellent. To combine the User Personas with the Lean Business Canvas and then share it with my business coach/mentor really makes it a time saver to simplify our working sessions. It is really a silly thing to dislike, because of the amount of value I get from Xtensio, but I enjoyed the free space in the beginning. Frankly, that is a really silly thing to dislike, so you can scrub this one. The tools are all the same I use in my own work sessions with my clients, so this makes it easier to share the information with my clients. I have used this for my own business decisions for what direction I am pivoting my business. I have also started taking my own clients through this and use it to deliver the results for our sessions together. 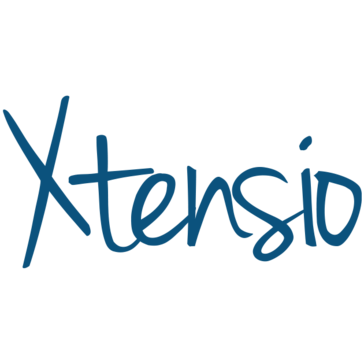 "Amazing client support, really kind and human :)"
How kind and supportive you have been all the time I have been using Extensio, which is for more than a year now. I really appreciate how fast and kind you have been all the time for all the questions and requests I have asked from you. I specially remembe the time that by accident I payed for an entire year and you where so kind as to let me retrieve the payment and pay month by month. Also I love how my companies programs look so profesional and all the new fitures you create all the time. I create all my seminars and workshops programs and its really beautiful. I'm so glad to hear that our team has been helpful throughout your time using Xtensio! And it's even better to hear that you've been able to create some beautiful documents and presentations in the editor. Just a quick tip, while it's not possible to have two folios opened side-by-side, you can copy or move sections of your folios together to make this process a little less cumbersome! 3. They have multiple channels for me to share, view and download, with options on how the presentation would look like to my audiences! Creating one pager, pitchdeck and Canvas for my teams and clients, even proposal.! "I love this platform! Easy, fun and even inspiring. " This is a very user-friendly platform with an intuitive interface. When I have run into trouble, the Xtensio team has always been very helpful. I actually look forward to creating and updating my archive! It's fun and efficient. The templates are incredibly well thought out and easy to use. Excellent. I lost some material, possiblyl after the app lost its connection, but I was able to find it and relink it when I reviewed an older version. This took me a second to find though, after I had my heart attack thinking I had lost a day of work! I was helped by the support team and was immediately set on the right path. It's structured in a way that if your needs are not yet met, they will be! I'm building a research archive for a large team. The fluidity and flexibility of the app has helped me organize my thoughts, and some of the templates have helped me understand what kinds of questions I needed to answer. "Useful and great content tips"
The design, structure, color, font, sizes, and the best way to represent everything, is already given. They guide you on which kind of content its the best for every template. You only have to worry about the content of your presentation. It also allows you to edit some stuff, like color or size. I love modifying images, i think its is very easy, because you only have to copy paste the URL of an image, and adjust the size. I think it might not be the best intuitive UX, because it takes some trial and error to understand how to modify everything, and how to use the folios. Also, i'm from Mexico, so i had to transalate the templates and create copies of that one. I would also appreciate if it can be collaborative with at least 1 more person. And if it can be in Spanish is better, so it can be easy for all of my coworkers to use it. I reccomend it because you can save time and deliver a presentation of a very good quality. I was using it for Buyer Personas, but i will use a template for product comparison. I would also love a Bussiness model canvas template :) It saved us time and we also delivered a good quality presentation for my coworkers. Its also very easy to make an account and to upgrade it. And they send you tips almost daily on how to get the best of Xtensio. "How Xtensio help me start my business"
I like that Xtensio provides a service that is accessible to anyone who wants to present their idea, business idea or project on a clean and beautifully designed interface. The pricing is also fare and I appreciate the free membership features. I would love to have more control over the dimensions of the design, especially for images. as well as color schemes and positioning. Get started today! Xtensio will get you to that next milestone. Our company CO-NECT is providing a sustainable solution for local artists, local small businesses, and entrepreneurs to connect and thrive in their community. So Xtensio helps us easily explain how we will be able to do our mission and how the company will grow over the future years. "Great tool for the every day, highlevel, and drill in work." Xtensio is so easy to use, and it's perfect for so many pieces of our business that have to be iterative. Being able to edit and customize is absolutely crucial to my job, and Xtensio makes it as easy as I could ask it to be. I wish there were more pre-made templates, but it is great to be able to build my own anyway. I'd also like to be able to export as a powerpoint slide, or even an editable format. This is an amazing tool to help build out your tools and processes. If you manage a team, manage projects, or manage any piece of the development chain, Xtensio helps provide support and informational tools that are useful to everyone in the organization. As a company, we've been able to create visual and informational profiles for our different segments, users, and products. This is leading to more awareness internally and externally, and is helping us create a more informed sales and support team. The easiness and available pre-template to create the awesome Presentation. I was able to create a stunning one-pager pitch with xtensio less than a week. The best thing is that I can send it as link and it appears as a website to all those investors I shared my startup pitch-deck. I had an awesome result and response due to its simplicity and awesome design. Nothing much... I just like everything they offered free of charge. One of a kind..I recommend Xtensio to everyone looking to create an awesome/stunning/mind-blowing presentations, websites, folio, documents, report etc.. I was able to create a stunning website/one-pager presentation for my startup with zero cost. I am planning to upgrade my account so that I can use the additional tools available tools to make my other presentations and business plans. Ease of use and swift customer suppport. I also really like the fact that there are templates for everything I want to do with my startup. I really like the Xtensio plus plan, which I am paying 8 USD per month for, but I wish I could have more folios with that plan. I do not need any of the offerings provided with the bigger plans, other than being able to have more folios saved on my existing plan. We do not have a designer or a design team. We're a tiny lean startup, and being able to do great graphics with such a low cost for our pitch decks, media kits, etc. is fantastic. "The worst customer service - deleted all my work!!" The fact that I spent 12 hours working to a deadline using the tool to create persona's, and then asked to cancel my rolling conscription as I only needed the service as a one-off. Before I had time to download the personas in a PDF format, my account was simply DELETED. I received an email from someone called "Lauren" explaining that they down allow you to cancel your subscription and then continue using the product for the remaining time in the month that you have already paid for. Before I had a chance to see and reply to the email, I was given 48 hours warning, supposedly, my account and all the work I had completed for a client and their deadline for the last two days was gone. I actually cannot believe that a company could actually be so tight-fisted to do that to freelancers. Absolutely disgusted. Of course, I have invoiced Xtensio for my lost work, but I doubt I'll ever get any remuneration from them unless I pursue legal action directly. Do yourself a favour - avoid this scam! Xtensio CREATED huge business problems for me by deleting my work from within my account and setting me back 2 days when I'm already at the deadline for a client. We're very sorry to hear about your frustration! We reply to all requests to cancel a subscription noting that we will do so within 48 hours. This cancellation policy is outlined on our site and terms, but we do note that you can reply within 24 hours if you change your mind and want to keep your account active. Since you replied before that time we had not moved forward with deleting your team yet. It seems that there was some confusion because you were logged into your personal dashboard rather than your custom team dashboard where you had been creating your folios. I hope my instructions helped you get to your team dashboard and find these folios. Just to clarify a bit more, if you'd like to download but don't plan on using the platform in your regular workflow, you can always purchase export credits without upgrading to one of our premium plans. These credit purchases are a one-time payment, will never expire from your account and allow you to export up to 10 downloads. We're always happy to help if you need anything. "Xtensio is a great tool for marketers and presenters"
It's super fast to build a presentation, persona doc, or one-pager and move your info around until you like the design. The moving info around part is a strength and what makes using Xtensio fun. I also like the ease of duplicating a section or module to use again. It needs a few more chart types to blow my mind. They have core ones such as pie, scale, and bar, but to make this an infographic tool as well as a one-pager tool, it needs a few more data display options. But the ease-of-use is tremendous. It's an excellent one-pager creation tool. Maybe the best. Easy presentations, document creation, one-pager creation, and market research display. Easy to use and great looking templates. I previously used for a large marketing project and my senior management loved the way the presentation looked! The current templates your product offers makes it very easy to review information and make a presentation visually pleasing and easy to go over a lot of data. There should be more customizable features with the template graphics. I noticed on one, it was only male silhouettes which was unfortunate! It would be great if you could implement a feature with Shutterfly or a vector art provider as well. Additionally, it would be great if you could make easier drag and drop features for your blank templates. Great product, can't wait to see it become fuller and more developed! Ideally I would like to be at 9.99 pricepoint for unlimited Folios with current features. We were able to create easy to read customer personas to help with our marketing initiatives. I recently downgraded to the basic package but will re-upgrade for my next project. "Solid design for the non-designer"
Xtensio is very easy to use, and their built-in template library is solid and ever-expanding. The ideal use-case in my mind is sales enablement, for sales teams or Product Marketers who don't have access to a full-time designer. The layman can easily create proposals, sell sheets, and more without any actual design skill. The WYSIWYG app works well and lets you create good-looking documents to send to clients or prospects. The ability to create templates to share with your team is also great. As with most WYSIWYG editors, Xtensio can be finicky at times. It does take a little effort to figure out its quirks, but a few experiments will help you get everything looking the way you want. They offer a free version, so try it out to see if it's a good fit for you. We use Xtensio to create sales proposals and one-pager sell sheets for prospects. Members of our sales team can easily create custom proposals that don't look like garbage. It has freed up our marketing team's time so they can focus on more important items, and it gives the sales team the ability to customize on the fly based on their conversations with prospects. "The best solution for non-designers"
The real-time nature of the product is excellent. It's incredibly helpful to be able to share our documents live with others. I like the simplicity of the product and how straightforward it is as well. The price is very good for the offering as well. I wish there was more flexibility on template editing, and also more templates and modules to chose from to make our documents more robust. I wish there were more intuitive ways to build new modules or sections. I also wish that you could view (while you're working) how many pages your template is currently occupying based on an A4 or 8.5x11 page setup for printing. Ability to create documents without relying on an outside design resource. We like having the ability to edit our documents on the fly and share them instantly with stakeholders. This has allowed us to create a large chunk of needed marketing collateral we did not have before we got Xtensio. "Saved by Xtensio and here to stay"
Being completely without any experience in designing templates or portfolios or any kind of interactive design, I was panicked when my employer told me to start making some. He gave me some examples of what he wanted it to look like, and I, in duress, started scouring the interwebbs for help. And enter Xtensio. Everything I needed and wanted in one simple design. In Xtensio, you can create a wide varity of looks, design, images, styles etc without having any pre-knowledge of design or code. I am not happy in being able to present some, i me own humble opinion, gorgeous templates to my boss, and he is happy. It looks unbelievably professional and I will not be afraid to present these tempelates. Forwever grateful that there is such a tool as Xtensio? YES I am! I wish the pie charts had more options and looks. Maybe that one could design the charts to ones own liking and purpose through combining scales, charts, lists etc? I also wish it was possible to move objects around in their "bubbles"/zones, as easily as you can move around modules. Definitely give it a try =) And if one has thoughts/critique, I'd say don't hesitate to contact support or give your input. Being my own employer who gets hired by clients for different gigs in research, I am VERY happy to use Xtensio instead of having to buy very expensive software or taking courses. Very efficient, even the free version is a life saviour! There is some limitations but it's fair enough! I don't think there is similar platforms that work this way. I recommend it to everyone, I've spent a lot of time searching for templates I could use easily without wasting my time, and voila! You only focus on the work itself not on the form, which is what I was looking for. Also the customer service is amazing, they answer right away. At the beginning, I haven't well understood the concept, I thought it's all a paid service, then they answered with clear points that I ignored so I could use it. For the free version, you have access to all templates but you only work on one by one, which is even better for me to concentrate on one projet by another. I'm not sure about the dislikes, but I could say that more templates could be added, more about Corporate Finance area, or simply other models for each type, since all the users use the same ones. I have created a simple document to present a friend's Tourism company in Morocco. I used for my own consulting services presentation for my clients and it was all in French, that's a good point you can change anything you want. And now I'm working on a project presentation, the template has what I need. "This is just the best thing everer." I have access to many standard consulting forms and templates that allow me to provide top quality work to my clients. I have encouraged at least two of my customers to go onto trail licences as well. The template set up is just what I needed. Flexibility in moving the template blocks has been really great and stress relieving. I created a visually appealing one-pager super fast and for just the right amount of money!! Since it's digital and I control the graphic layout the one-pager can update at the speed of my startup....for just the right amount of money, says the founder and CFO! I need a few other templates that they don't have YET. Startup founders success tool for sure! We need to commuicate the jist of the company in a short one page format and it has to be visually appealing. Xtensio made this possible! Being able to create my own custom template has been great. In addition, the user research templates provided a great start to my custom template, and I was able to easily modify what Xtensio had created to fit my needs. Once my template was created it was much faster to create the various user profiles, in graphic way without spending hours in InDesign, power point, or similar graphics programs. I dislike that I cannot batch print or export from the folio view. I also wish that if I want to make a change to a template (maybe a font, or a color), I could push that change to all of the cards that were created with that template. My company had a large backlog of user research that needed to be consolidated, uniformly formatted and presented to the organization. Xtensio helped streamline that process and helped to create a new process for recording and distributing feedback moving forward. "Excellent tool for business planning and analysis"
I've found the numerous templates offered to be very useful, and also the ability to edit the color schemes, background, font sizes and pretty much every design aspect of the template. The predefined templates are very helpful so that I don't have to start from scratch. There are some bugs I've found. For example, when I'm changing the name of a folio, while it is saving in the background, it deletes some of the letters I wrote and I have to write them again. Also, the app tends to disconnect. I'm solving various problems such as making a competitive and SWOT analysis, and a business model canvas. "Amazing platform for creating content"
Templates are the best resource for me, since they already have been designed by professionals and have some business insights that i usually think about it before write down my own content.Usually they are my start point for presentations. So far so good, i'm discovering everything i can do yet. It sets limits on some stuff you can do, but it's actually preventing you from screwing up the presentation. I have xtensio in high regards so far, because the results have been awesome for what i do, other people around me are seeing great results and want to do something similar, so it's a great tool. I'd recommend other users to try it out, and do a full presentation with it, try the premium for at least 01 month and you will see for yourself if it's good or not. I'm doing presentations faster and better with more appeal. It's helping me also to translate technical stuff to more easy to understand contexts through the presentations. "Best ever piece of software to make and remake business and etc. presentations"
When presentation is open - there is no easy way to go back to dashbord. So I'd suggest adding some button for easy transfer to dashbord. Of cause - I might be wrong and haven't noticed how to do so. If you need easy to use tools to promote startup - Xtensio is must have/use tool. I really love the templates provided because they seem tailored for different purposes. This makes it easier to edit and the arrangement on each page is just beautiful. After exporting a document, I do not like the fact that you cannot edit the document outside the web app. For instance, I cannot edit a pitch deck in powerpoint so if I export and I need to make corrections, I have to return to the WebApp in order to do that and that costs me another credit to export. I have used Xtensio to create a couple of business documents including, a business model canvas, customer profiles, employee profiles and Start-up One pagers. With the use of Xtensio, my audience find my presentations rather very impressive. We're glad to hear Xtensio has been useful for creating your business documents! "Well presented documents, made easy." The suite of templates is great. I found I didn't have to venture far from the suggested layout as it was well thought through. It proved to be a fast and efficient way of producing a document which really stands out and makes a great impression. Fine tuning the design is a little restrictive and bumpy but, with a little compromise, I was more than happy with the result. Use the free trial to give it go. When developing a one-page business overview it's so important to make a strong first impression, and xtensio helped us accomplish this. The data collect feature is also a fantastic bonus and has helped us generate leads. "Versatile and Easy to Use"
The templates are the best. There is a huge variety and overall very useful. The drag and drop format is also really good. I think if you're on that edge of visual design/management, the limitations can be frustrating but the templates are so good you really want to just start there. Really a minor quibble but I wish there was an advanced mode. Definitely worth it for a team short on visual designers to make reports and presentations. It's affordable and while not as robust for other user experience practitioners, it's good for project and product managers that have to report on their teams work. User journeys, Personas, Empathy Maps, Competitor Analysis. People love visualized information and Xtensio provides that. Thanks for the great review! We're glad to hear Xtensio has been useful for your team. We're always optimizing and building new feature, so be on the lookout for updates from us soon! - Good Products which is easy to use! - I highly recommend them as a company and as well as their products and services!! To be frank and honest, nothing is perfect, so what you pay for and get is very good value for money and one cannot go really ... wrong! "Best and Easy Presentation Ever"
Sometime the images should be change on another external software to be able to put them exactly as you want. "Xtensio for Business Development and Marketing"
All of the xtensio templates are gorgeous, easy to use/modify, and very easy to share. I especially love their agenda template as its a living document for weekly meetings. Easy to share, view next steps & action items, as well as constantly keep location/dial-in information up-to-date without having to constantly send emails. I wish my account could have a few more portfolios. I feel like there should be a step between 5 and unlimited. Make sure to save a copy of all your folios if you're not on the unlimited plan! 5 Folios may seem like a good amount at first but you'll be quick to run out. It's much easier to convey statistics and agenda item to our team when they're looking at a beautiful document over a google doc or google spreadsheet. "Xtensio- good for getting ideas onto a page"
Can be quite difficult to jump between multiple templates at once- often you may want to refer to a business model canvas as you create a prototype landing page or similar. For a cost-effective solution to constructing basic business documents and templates Xtension offers good value for money. If you are working on multiple concepts or looking to get lots of information together then it's a perfect product. Xtensio provides a good platform for remote workers to share common business templates, make edits, and create good quality, presentable forms without any real design input. The ability to rapidly prototype and brainstorm has allowed quicker iterations and more complete presentations to the wider team. "Stylish, timesaving way of presenting information"
Xtensio is extremely easy to use and allows our company to present information in a versatile and professional way. Previously, we had used a PDF slide stack and sent this by email. However, Xtensio is much more flexible and enables us to communicate design values alongside core product/service specifications. The product is also very reasonably priced. We have no negative comments about the product. I would jot hesitate to recommend Xtensio for creating presentation documentation. Creating media packs (information for advertisers) for our online platforms, for easy distribution to prospects and customers. The key benefits are (i) big time saving and (ii) design quality which enables us to communicate our own brand. "Perfect Solution for Small (or Large) Business to Expedite Business Communications"
I have always felt there was a better mouse-trap when it comes to creating and submitting proposals, resumes, internal team documents. Xtensio has created that better mouse-trap. The templates allow you to create custom designed internal and external documents that can be quickly and easily updated, and shared via a PDF or URL. The tool has greatly reduced the turn-around time for proposals. Thanks for taking the time to share your experience using Xtensio with the community! We're always happy to hear Xtensio save you time on building your proposals. And remember, if you don't see a template you need you can always start with a blank slate and build anything you need with the editor! "One of the most awesome platform I discovered in 2018"
Easy to use, lots of features and the ability to share files using links. No more old fashioned document versions, just update the doc and the link will automatically be updated to the latest version. Standardisation of documents including keeping it updates. Also easiness to find and share documents with anybody through the link feature. "Great templates for buyer personas!" I haven't used Xtensio much yet, but so far the user experience has been top notch. I am a university student and required to establish various buyer personas for online marketing related projects. Xtensio has provided me with state of the art professional templates that facilitate the illustration of a buyer persona. The template has inspired me to come up with more information regarding my buyer personas than I would have without it. I'm definitely curious to explore Xtensio even more for future projects! I dislike the limitation regarding the number of downloads in the free user profile. As you might adapt personas after having downloaded them you will reach your limit quite quickly. Instead I'd suggest limiting the number of templates that can be used. "Best marketing tool for understanding your customers"
I love the persona development tool, which allows you to use a template to build out your customer demographics in a clear and useful way. I love that you can edit it in tandem with others, like a Google Doc, making it an excellent activity to do as a marketing team. Many of the features are paid, like inviting others to collaborate in the document, or downloading your completed personas to a pdf. Xtensio is an incredibly useful tool for nailing down your customer demographics. The persona development tool has helped our team by acting as the thought experiment through which we make all marketing strategy decisions. I was able to quickly sign up and get going quickly. It was easy to get started with a template and then customize it to suit my needs. A lot of the built in modules are really handy such as tags. Took me a little to figure out the tools. It is minimally designed, and I like that, but may need a few more tool tips/tutorials provided. I am able to build out templates for presentations/workbooks/collaboration documents that I can use over and over again saving me a ton of time. "Fantastic product. Great experience. Saves major time." Allows me to quickly build content strategy deliverables for my clients. Editor is easy to use. Low learning curve and doesn't require multiple team members to build and deliver. And, the templates provided are quite useful. Would especially recommend for content strategists looking to elevate their contributions to persona development. WYSIWYG editor could be improved—primarily, just changing section/module orders on page. Otherwise, editor is super easy to use. Can't recommend this tool enough if you're looking to scale a content strategy practice efficiency and effectively. Xtensio has made it significantly easier for my team to scale our service offerings for our clients by providing a polished-looking canvas for content strategy documents without need for design or development. We found that the persona templates have fostered deeper empathy during early web development stages by both internally and with our clients. "Love it! Won't go back to Powerpoint!" I need quick reports and sales decks on occasion, this is the easiest way to do them professionally in a short period of time. "Solid interface and good supporting content/tutorials"
I like the diverse options the interface gives for customizing design. Much better than when I tried doing the same thing using SquareSpace. I dislike the limits placed on the free account, but it's understandable. Creating professional marketing materials very quickly, without any additional design software. In one day I created a one-pager to fulfill a request from a prospective client, and this has been very useful for us. As a social entrepreneur running a small startup, anything that saves me time like this is really beneficial. "Love it! Great for fleshing out a start-up idea"
I love the structure and layout of each template. It is great for starting off, providing prompts to get the juices flowing. Also, the ease of using the platform. The autosave is terrific too. I can convey this with complete honesty, there isn't anything I've come across on Xtensio which I dislike. I love the platform. I am working on a start-up idea and decided to use Xtensio of several other platforms, because of the templates offered, and ease of use. "It works beautifully - a simple and intuitive document collaboration tool." Quality product, easy to use, quick time to value, and solid customer support. Some of the permission settings and delays were a bit surprising and caused us to escalate to their support and engineers for troubleshooting and eventually a resolution / fix. quality product, great support, cost-effective, simple, and no training required. We needed a collaborative way to create customer case studies to share them internally and externally. We were able to save time and deliver professional online documents that we were proud to share with our customers. "Xtensio is Xtremely instrumental in our project design"
I like to collaborative capabilities of this program. It allows our team to communicate effectively and always have a place to store our goals, updates, and resources. I also like all the templates that it provides, it really gives me some clear outlines to use because design isnt my strong suite. There are a number of different ones that we have used, from our user persona to content strategy planning. It is yet another platform that we have to use on top of our many other ones. I wish it could be all housed under one group. I wish there was a template that I could use for our organizational chart. We are solving for communication gaps and organizational efforts. It really helps with our project management and holding people accountable. I'm using Xtensio to conduct a competitive analysis of a couple of websites. It is pretty handy tool to replace a standard excel spreadsheet that would have looked crap and not been as easy to use. The drag and drop features are great. It has a few UX bugs - it is missing a 'undo' button which would be very useful. I also feel like some of the features are hidden - maybe behind icons I don't understand? - which is makes it hard to replicate the features/aesthetics of a stylized template. I started off using a template, then ended up duplicating it because I didn't know how to replicate the structure of the template from scratch. Something that looks good, easily collaborative/shareable. What I love about Xtensio is the templates available for me to create impactful presentations and collateral. There's nothing I really dislike about it. I recommend Xtensio as a great place to start for polished and customizable business templates. I have used the lean business model canvas and one of the business templates to create a personalized business development info sheet. "Great Platform, Great Alternative to Word Documents!" I like the flexibility in providing content online for ours to view and interact with instead of providing a standard PDF or Word document. The challenge of usability and readability for long Word documents was the primary reason why I looked for an alternative solution that could provide more value to the end user. The challenge with the platform is a lack of graphs and modules that could represent data. We're able to provide content to our end users that is more accessible across their organizations. It's easier to pull up a link to a report or proposal rather than forward an email with an attachment that they would need to open. And thank you for the feedback on the graph modules, we'll definitely be adding more interactive modules soon. * We monitor all Xtensio reviews to prevent fraudulent reviews and keep review quality high. We do not post reviews by company employees or direct competitors. Validated reviews require the user to submit a screenshot of the product containing their user ID, in order to verify a user is an actual user of the product. Hi there! Are you looking to implement a solution like Xtensio?